Excellent Condition, LOW MILES - 44,832! 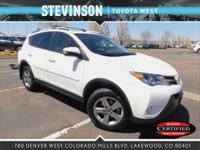 JUST REPRICED FROM $20,988, EPA 29 MPG Hwy/22 MPG City! Moonroof, A/C, Dual Zone A/C, Back-Up Camera, CD Player, iPod/MP3 Input, Satellite Radio, 6-Speed A/T, All Wheel Drive, Bluetooth CLICK ME!======KEY FEATURES INCLUDE: All Wheel Drive, 6-Speed Automatic Transmission, Bluetooth, Power Door Locks, Power Windows, Back-Up Camera, Dual Zone A/C, A/C, Satellite Radio, Sunroof, iPod/MP3 Input, CD Player, Chrome Wheels Bucket Seats, Electronic Stability Control, Heated Mirrors, Keyless Entry, 4-Wheel ABS. 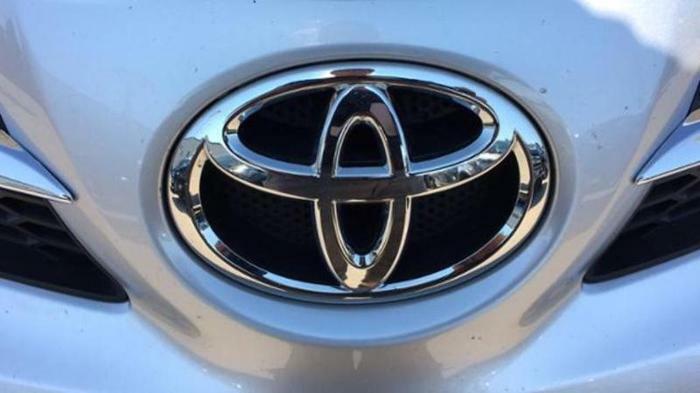 Toyota XLE with Classic Silver Metallic exterior and Black interior features a 4 Cylinder Engine with 176 HP at 6000 RPM*. 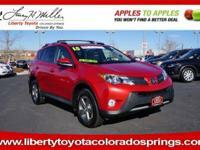 ======EXPERTS RAVE: Edmunds.com's review says Roomy interior for people and cargo; strikes a good balance between ride comfort and sure-footed handling.. ======EXCELLENT SAFETY FOR YOUR FAMILY: Brake Assist, Child Safety Locks, 4-Wheel Disc Brakes ======VISIT US TODAY: Our large inventory and wide selection of models, along with competitive pricing, allow us to make you a great deal on the Ford of your choice. At Mike Naughton Ford, our goal is to assist you in making a confident decision. Our friendly, professional staff members are here to answer your questions and listen to your needs. Wherever you live in the Denver area, or if you're driving from Lakewood, Highlands Ranch, Centennial or Englewood, we're ready to serve you! Horsepower calculations based on trim engine configuration. Fuel economy calculations based on original manufacturer data for trim engine configuration. Please confirm the accuracy of the included equipment by calling us prior to purchase.